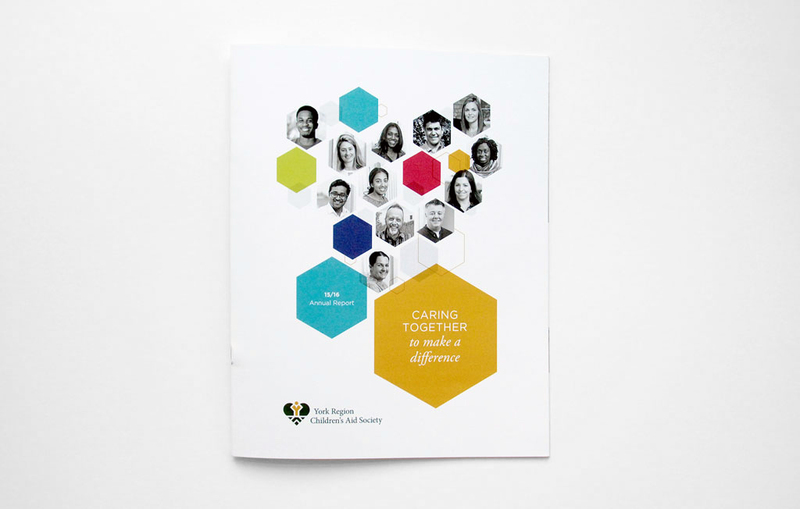 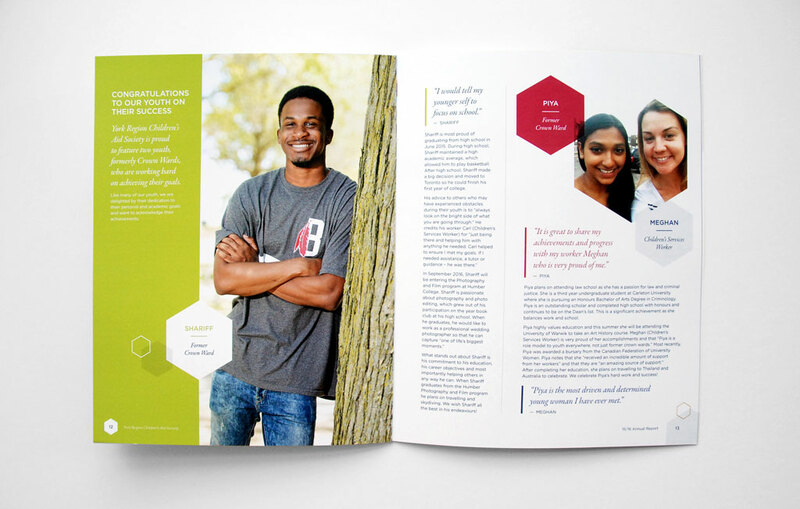 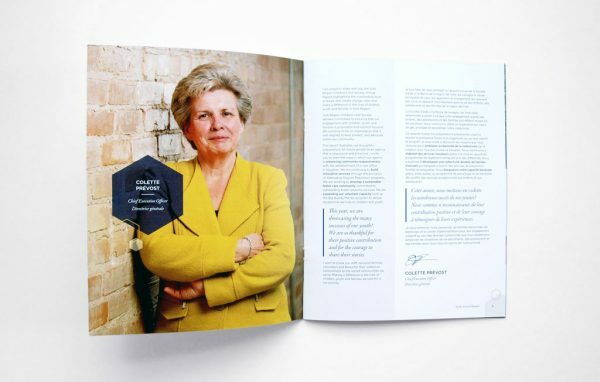 This imaginative and memorable annual report design was created by RC Design for York Region Children’s Aid Society. 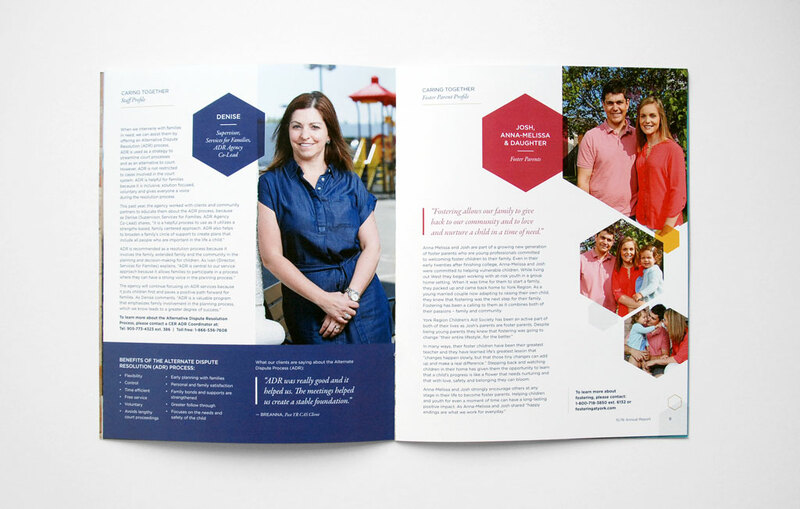 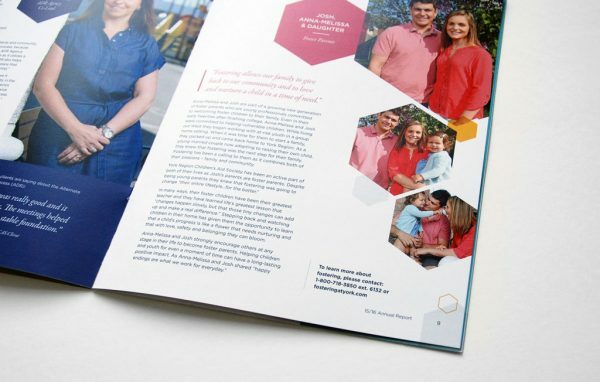 The layout uses fresh colours and full-page imagery to establish a welcoming and open visual tone. 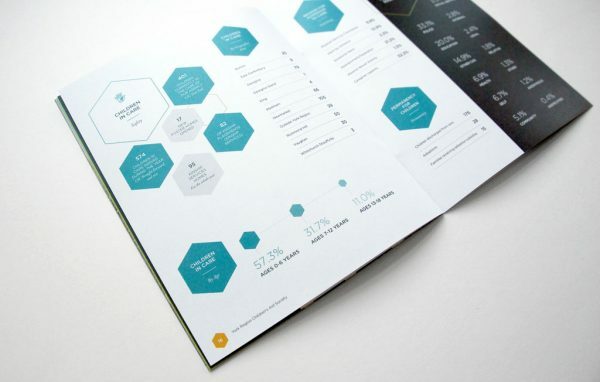 Friendly and agreeable hexagonal design elements are repeated throughout to appeal to the report’s target youth demographic. Annual statistics are presented with lively colour and refreshing white space. 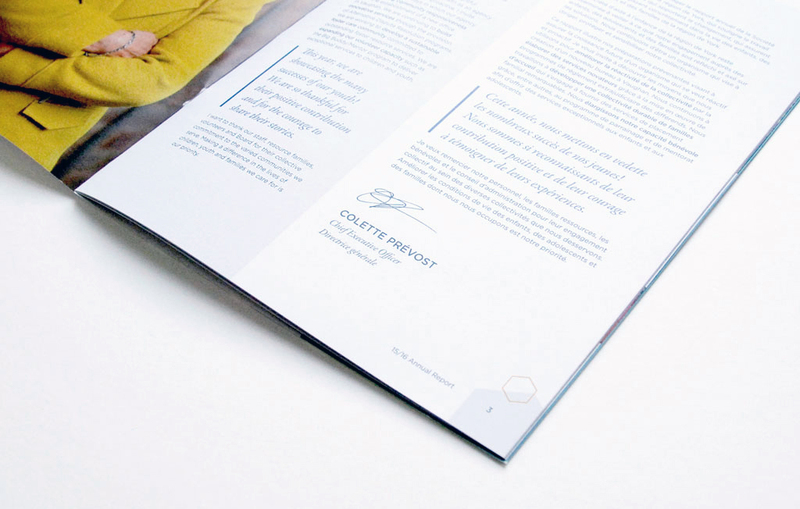 The completed design humanizes the organization and welcomes the reader in with open arms.